A Papua New Guinea Experience – A vibrant land with intensely diverse cultures, dramatic landscapes and exotic wildlife, Papua New Guinea is the “last frontier on earth.” From the dense tropical forests of the Highlands to the expanse of the Sepik region, to vivid coral reefs along the coast, this unique island is sure to amaze even the most intrepid traveler. Fly over some of the most rugged and impressive landscapes in the world to Timbunke (included). 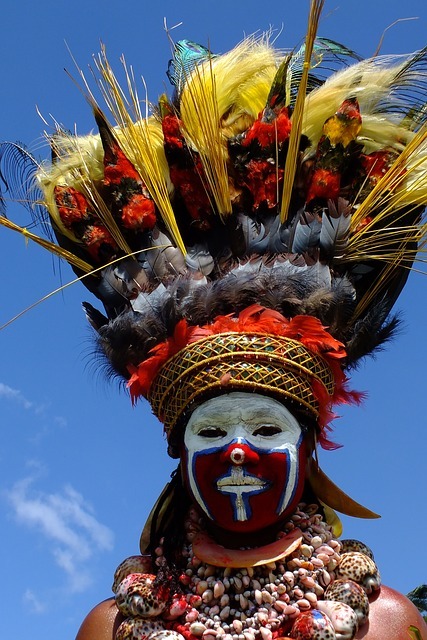 Transfer to the MV Sepik Spirit for a 3-night cruise on the Sepik River. Inspired by the architecture of the “haus tambaran” or spirit house, the MV Sepik Spirit has a truly unique design. Travel to rarely visited areas of the river and its tributaries. Overnight: MV Sepik Spirit for 3 nights (B,L,D). Transfer by river boat to Karawari Lodge. Sitting on a ridge above the Karawari River, the lodge boasts spectacular views over dense tropical jungle. Overnight: Karawari, Karawari Lodge (B,L,D). Fly from Karawari to Mount Hagen (included), in the upper Wahgi Valley; a valley with some of the oldest evidence of agriculture in the world. Perched high on Mount Kuta is Rondon Ridge, overlooking the Wahgi Valley. Overnight: Mt Hagen, Rondon Ridge for 3 nights (B,L,D). Enjoy a full day exploring the Hagen area. Mount Hagen is the home of the Melpa people, a people with a strong culture, who in the face of moderninity, still live largely a traditional subsistence lifestyle. (B,L,D). Explore the area further today and discover the fascinating Wahgi Valley. In the mountains surrounding the valley lives a stunning array of bird, orchid and plant life. (B,L,D). Depart for Port Moresby this morning (flight not included). Upon arrival in Port Moresby, you will be transferred to your ongoing international flight. (B). The wet and dry seasons in PNG are not as black and white as elsewhere in Asia. In practice, for most places the wet just means it is more likely to rain, the dry that it’s less likely. Temperatures rarely get too hot but the ­humidity is always high and can be oppressing. Rainfall is generally heavy but varies greatly. In dry, often dusty Port Moresby, the annual rainfall is about 1000mm and, like areas of northern Australia, the wet is short and sharp and followed by long, dry months. Elsewhere, rainfall can vary from a little over 2000mm, in Rabaul or Goroka for example, to over 4500mm in Lae. In extreme rainfall areas, such asWest New Britain Province or the northern areas of the Gulf and Western Provinces, the annual rainfall can average more than 8m a year! The island provinces have a more steady climate, with the ‘dry’ season from December to late May having milder temperatures (about 21°C to 28°C during the day) and infrequent, light rainfall. The heat and humidity rise during the ‘wet’ monsoon season, from late May to December. Cyclones can blow between January and April. PNG has one of the most variable climates on earth, which can confound the best of travel planning. The wet season is roughly from December to March and the dry is from May to October. April and November are anyone’s guess. There are, however, plenty of exceptions to this pattern (Lae and Alotau are wet when everywhere else is dry). The months from June to September are cooler, drier and better to visit, but it’s generally hot and humid year-round. It’s worth scheduling your trip around a festival or event, such as one of the unforgettable cultural shows that are held between July and October. 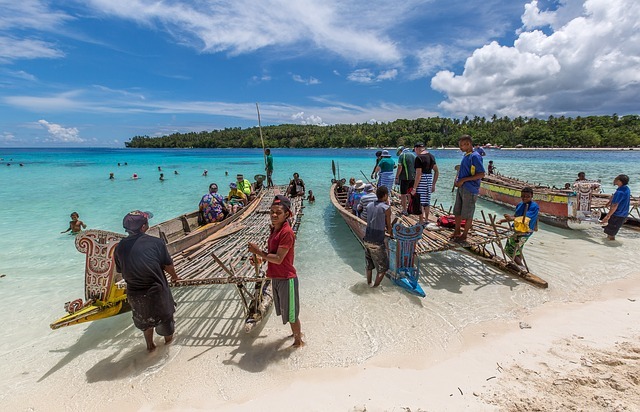 There are no high or low tourist seasons in PNG, but at Christmas, Easter and other major holidays, hotels can fill up, and international flights can be hard to book. You’ll need to book your accommodation ahead if you’re in a town during one of the cultural shows.